Here are some pics I have been waiting to post for a while. They are from an amazing exhibition I went to this summer in Halifax. The exhibit was entitled "Out of this World: Extraordinary Costumes from Film and Television" and was at the Halifax Museum of Natural History. 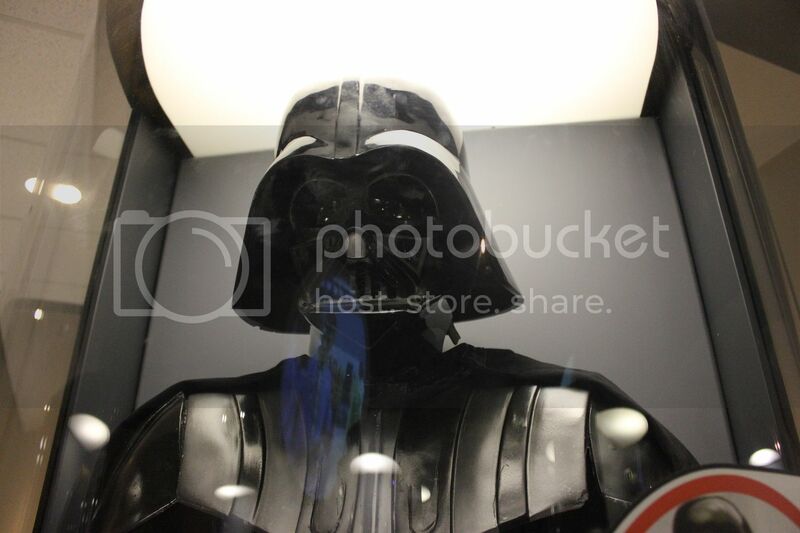 It featured more than 40 costumes and related objects from science fiction films and television programs such as Star Wars, Ghost Busters, Blade Runner, Terminator, Highlander, Star Trek, Batman, Tron and more. The exhibition allowed visitors to examine how costume design incorporates colour, style, scale, materials, historical traditions nature and cultural cues to help performers and audiences engage with the characters being portrayed. Aww cmon Dad! No fair! The hand that Vader sabered off of Luke Skywalker in their duel during The Empire Strikes Back as well as the light saber handle that he drops. The Costume worn by Christopher Lambert in THE HIGHLANDER!!! Oscar winner for Best Movie Ever Made..... just saying. There was even a few collections of cool toys and movie memorabilia including a huge number of Indiana Jones tie-ins toys and promo items that took up a room by themselves. NEAT. Here is a slide show of a few photos from this event for you to peruse or you can click this LINK to look at them as individual shots in photobucket. For a SF fan such as myself this was an awesome experience. I really enjoyed seeing the pieces from Starwars and the Gorn (one of my absolute favorite episodes of Star Trek) and all the stuff from Indiana Jones. 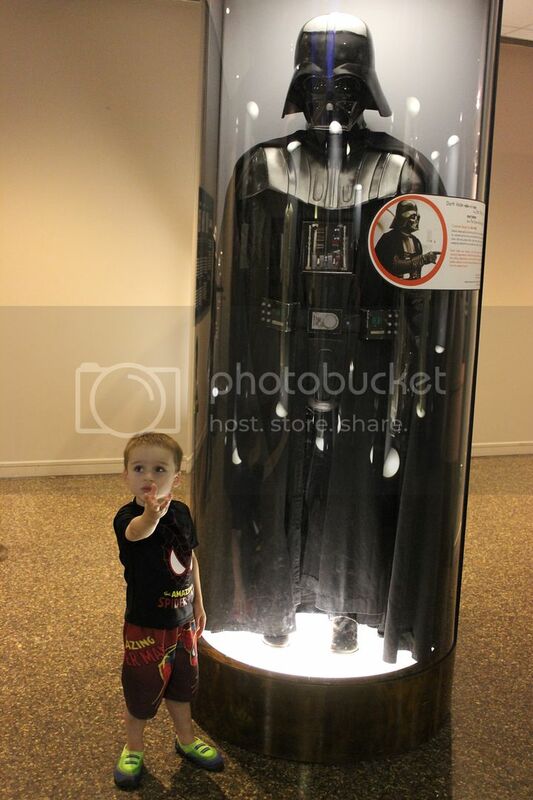 Being able to check out the real Vader suit was the biggest highlight for me and my son (who had an absolute blast!). The exhibit has now left Halifax but I haven't been able to find a list of where it is traveling to. All I can say is IF it comes to your areas, do yourself a favor and go! Well I hope you have enjoyed! I saw this exhibit when it was at The Henry Ford Museum in Dearborn, Michigan. I laugh, because many of your observations are the same ones I made. Can you believe how cheap some of that stuff looks like up close and in person? I got to see the Star Wars live in concert and that was amazing! They had costumes, the music sheets and other film stuff all around the arena to see. A real treat.